Ready Player One? Are you ready to enter the world biology and games? 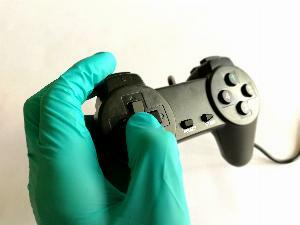 At WetWareWorks we believe the intersection of gaming and biology has enormous potential. It reminds us of the countless hours we spend on computer gaming and how that shaped our interest in programming, computers, internet and technology. Games kept us up till late at night, made us squeeze every juice out of the performance of our hardware and made us self-taught hackers. Isn’t it remarkable that the combination of biology and gaming remained largely untapped for so long? In this article we wish to pay tribute to the pioneers in the field, research why so few biotic games are around till date and take you on a ride into the wonderful world of biology in the arcade. Don’t get your hands wet! Depend on modern biotechnology for the game design and human experience. The article also presents other type of biotic games, such as a horse-race style betting game involving PCR primer pairing and a game leveraging growth competition between yeast strains. In more recent work by the Stanford professor the hardware and user interface have been separated, bridged by a cloud application. 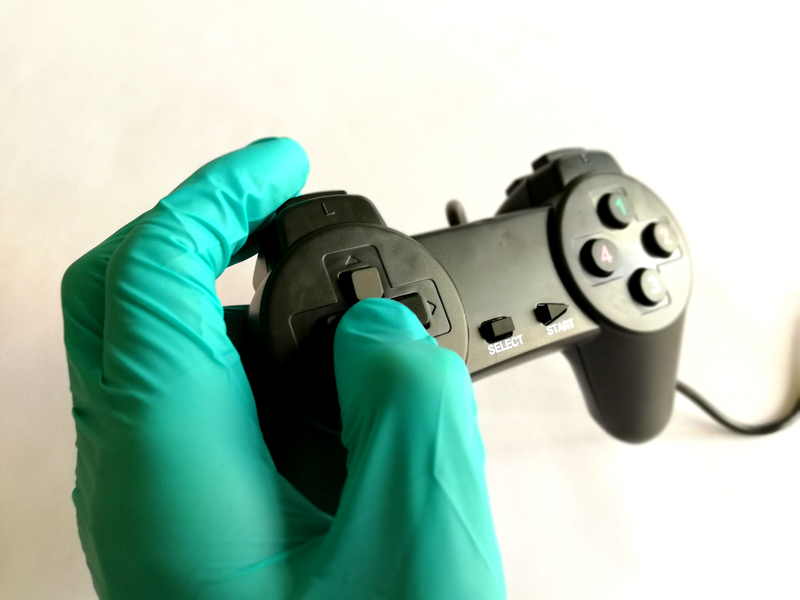 Riedel-Kruse et al also speculate about PCR machines becoming household appliances for gaming purposes and advancing the field of biotechnology as a whole. Just like gamers created the demand for heavy duty graphical processors, which had a tremendous effect on the development of computers in general. Additionally they hope biotic games will spark a greater interest in biology in schools and by society as a whole. WetWareWorks aims to contribute to the same mission! Whereas Riedel-Kruse focuses on the use of modern biotechnology (micro-organisms, DNA manipulation, lab-on-chip technology, etc) Wim van Eck and Maarten Lamers have been working on games that involve larger animals many years earlier. 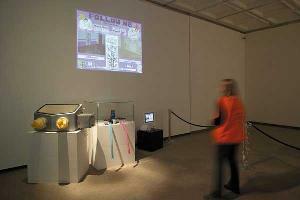 In 2006 they developed “Bug-Man” a hybrid between the legendary video-game PacMan and tracking crickets in a maze, documented on http://biodigitalgames.com. In 2012 they published a categorization of opportunities for biotic games, which they call “bio-digital games”. The addition of “digital” in the title excludes analog games, such as BioPong in which players prevent a cockroach from passing their Pong paddle. WetWareWorks also focusses on digital games only, because of the abundance of digital smartphones and computers in today’s society. Another important exclusion from the genre of Biotic Games are games that aim to gamify biological research or utilize simulations, such as Foldit. In “Hybrid Biological-Digital Systems in Artistic and Entertainment Computing” Van Eck and Lamers show even more examples of Biotic Games. Recently Roland van Dierendonck collaborated with Raphael Kim and developed a new game based on the competitive growth of several micro-organism. As a world first, this game was live broadcasted on the popular streaming platform Twitch in their channel Mould Rush. Enough theory, show me more Biotic Games! The videos and images below show more exemplary work in the genre of biotic games and related bio digital interactive installations. C. Tan, R., David Cheok, A., & K. S. Teh, J. (2015). Metazoa Ludens: Mixed Reality Environment for Playing Computer Games with Pets. International Journal of Virtual Reality (IJVR), 5(3), 53–58. BioGraphr Gerber, L. C., Doshi, M. C., Kim, H., & Riedel-Kruse, I. H. (2016). BioGraphr: Science Games on a Biotic Computer, 16. Kim, R., Siobhan, T., van Dierendonck, R., & Poslad, S. (2018). A New Mould Rush: Designing for a Slow Bio-Digital Game Driven by Living Micro-organisms, 9.